Acid Attack or vitriolage have emerged as the contemporary form of violence which is generally targeted against women. 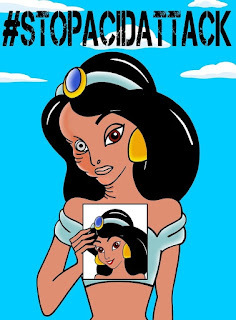 Acid attack is a form of violence, where the perpetrator splashes a person or object with acid with the intention to disfigure, maim, torture, or kill. It is one of the gruesome forms of attack on the human body. Acid attacks have a catastrophic effect on human flesh and vital organs of a person as it damages the vital organs permanently. As a result of disfigurement and disability, the victims are permanently debilitated and are forced to give up their public lives, work and education. It devastates the sufferer’s life mentally, morally, physically and financially. Earlier there was no law that specifically dealt with the cases of acid attacks. There was no special section in the Indian Penal Code dealing with acid attacks. The law relating to acid attacks was inserted in Indian Penal Code, 1860 (IPC) and Code of CriminalProcedure, 1973 (CrPC) by the Criminal Law (Amendment) Act, 2013. 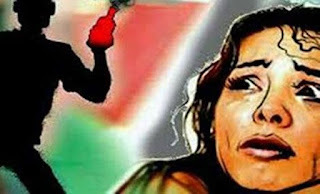 Section 326 A in the IPC lays down the punishment for acid throwing whereas Section 326 B in the IPC lays down the punishment for attempted acid throwing. Section 357C of the Code of Criminal Procedure mandates all the hospitals, public or private, to provide free treatment to the acid attack treatments. As per the seventh clause to section 100 of Indian Penal Code the right of private defense of the body extends to the voluntary causing of death or of any other harm to the assailant in case of an act of throwing or administering acid or an attempt to throw or administer acid which may reasonably cause the apprehension that grievous hurt will otherwise be the consequence of such act. Whenever any matter of acid attack comes to the knowledge of the police, it shall immediately register a First Information Report under section 326A or 326B, whichever is applicable, of the IPC. Section 326A of the IPC deals with the voluntarily causing of grievous hurt by use of acid, etc. and that provides punishment for a term which shall not be less than ten years but which may extend to imprisonment for life, and with fine. Section 326B of the IPC deals with the voluntarily throwing or attempting to throw acid and that provides punishment for a term which shall not be less than five years but which may extend to seven years, and shall also be liable to fine. It is the duty and the responsibility of the police to register a FIR as failure to register FIR on receipt of information will invite prosecution of the duty police officer under section 166A of IPC (government official disobeying law) which provides rigorous punishment for a term which shall not be less than six months but which may extend to two years, and shall also be liable to fine. The policemen should be sensitized to respond to complaints of female victims, and must apprehend the accused immediately after the complaint, as it adversely impacts the victim and there is tendency of persons committing crimes to slip away when there is delay on extraneous grounds like jurisdiction. The policemen must be sensitive in dealing with acid attack victims and must not aggravate the pain and suffering of the victim. It is the duty of every hospital to attend the acid attack victim without any procedural formalities and to provide proper treatment to the victim. The victims should be provided good counseling support by the hospitals as the long course of treatment, pain, social stigma has a very detrimental effect on their self esteem. Section 357C of the Code of Criminal Procedure says that all hospitals, public or private, whether run by the Central Government, the State Government, local bodies or any other person, shall immediately, provide the first-aid or medical treatment, free of cost, to the victims of any offence covered under section 326A, 376, 376A, 376B, 376C, 376D or section 376E of the Indian Penal Code. So the hospitals must immediately provide the free of cost first-aid to the acid attack victim. It is also the duty of the hospital to immediately inform the police of any such incident. Non-treatment of victim - Section 166B of the IPC says that if the in-charge of the hospital, public or private contravenes the provisions of the section 357C of the CrPC, then he shall be punishable with imprisonment for a term which may extend to one year or with fine or with both. Prior to the enactment of the Criminal Law (Amendment) Act, 2013, in most of the cases no compensation was awarded to the acid attack victims. Also in cases in which compensation was awarded there the sum was minimal and was totally inadequate to meet even the medical expenses of the victim. Normally the courts just levy fines without even giving these to the victims. Section 326A of the IPC provides for imposing of fine on the accused and further provides that the fine shall be just and reasonable to meet the medical expenses of the treatment of the victim. Further Section 357B of Code of Criminal Procedure provides that the compensation payable by the State Government under section 357A shall be in addition to the payment of fine to the victim under section 326A or section 376D of the Indian Penal Code. Can the acid attack victims be considered in disability list? Supreme Court in the case of ParivartanKendra v. Union of India and others, decided on 7-12-2015, directed all the States and Union Territories to consider the plight of acid attack victims and take appropriate steps with regard to inclusion of their names under the disability list. The victims of acid attacks face the struggle of expensive surgeries, which hinders their appropriate and speedy treatment. So, the government must take the responsibility of their treatment. The physical and psychological trauma following an acid attack makes life very difficult for the victims. The government must take steps to rehabilitate acid attack survivors with counselling and other provisions. Moreover, acid attack victims must be given complete legal support and the government must ensure they do not have to struggle a lot to get justice. The government must fix a time frame of probe and trial of acid attack cases. As far as the society is concerned, the incidents of the acid attacks are a curse on the Indian society. 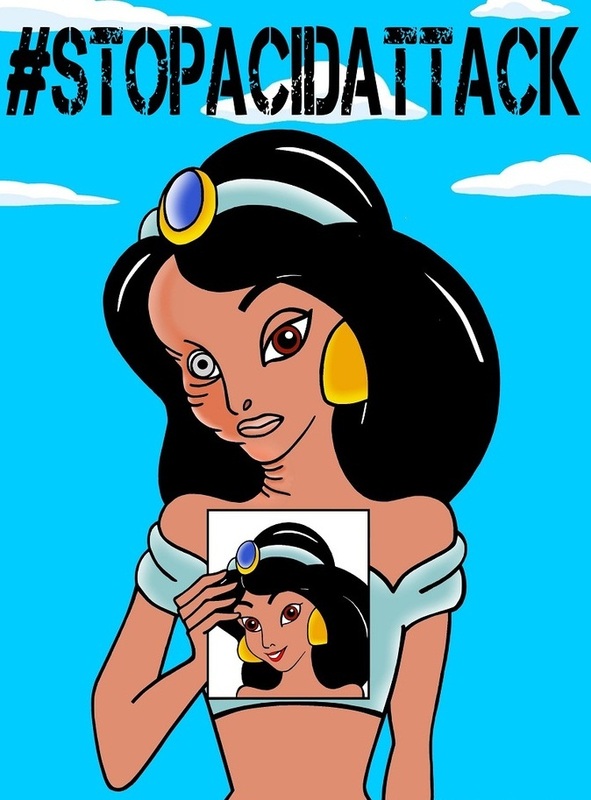 It’s common for the acid attack victims to lose social life. Our society needs mature and progressive people who look and think beyond the mere physical appearance of these victims. The people must not ignore these unfortunate victims rather they should help them by socializing with them.